The First Acre Farm was discussed in the most recent blog post, RTF: The First Acre. Here is a look at the farm from Brian Schneider’s view point. The Scientist by Willie Nelson is used in order to reflect and honor the Chipotle commercial, Back to the Start, that was aired this past spring. Chipotle is choosing to be a role model for food chains by supporting sustainable farmers in each of their restaurants. To read more about that commercial and what it is doing for our food system look into a previous post of mine, An Approach Toward Educational Advertising. Sustainability – n: of, relating to, or being a method of harvesting or using a resource so that the resource is not depleted or permanently damaged. The word is heard often in today’s society when discussing the current food movement that brings farmers and food producers together with consumers and restaurants. The societal movement behind food has a focus on living sustainably. But, what does sustainability really mean? The amount of times ‘sustainability’ is used when discussing food in certain circles makes it seem like a well-known adjective, noun, or verb, but not many really understand its cultural connection and deep roots. Perhaps it is worth while to take a moment and really look into what sustainability means, and how it impacts our food system. Slow Food – n: food that is prepared with care, using high quality local and seasonal ingredients. Slow Food has grown throughout international communities to uphold the definition above. ‘Slow Food’ incorporates the idea of creating wholesome good meals that stem from pure ingredients that are locally sourced. The people behind a food movement like this enjoy the culture that is deeply associated with Slow Food and work as activists behind such a cause, WOOFing, AmeriCorps, Food Corps, Peace Corps and student organizations alike all follow the same ideas and build on the idea of being sustainable. These organizations, along with Slow Food chapters across the United States are working to develop practices that lead to a healthier and more sustainable world. They all dedicate their work towards agricultural maintenance and preservation of the food system and they each have an educational component as well. 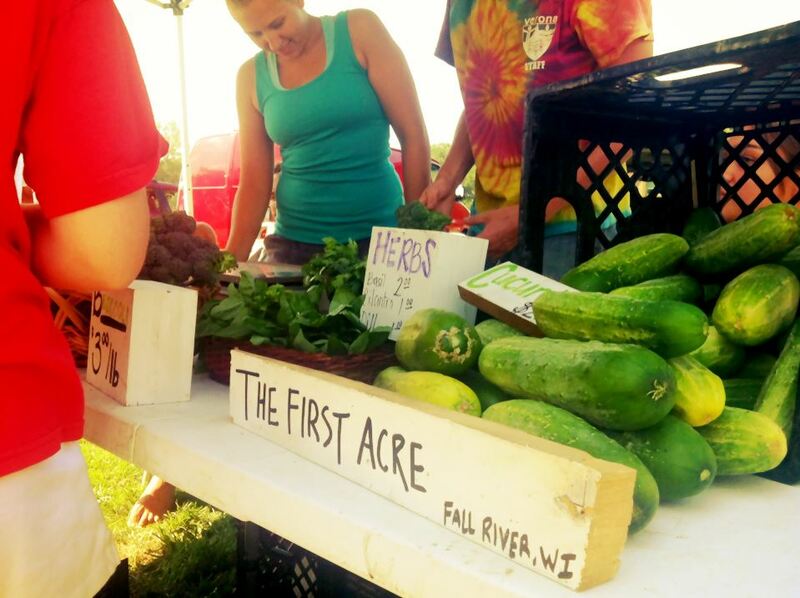 The University of Wisconsin at Madison is one of the first higher education institutions to join the push for better food with their campus Slow Food chapter, Slow Food UW. Here a group of energetic and passionate students are striving to bring locally sourced food to the 50,000 plus students and professors that roam campus. There are five separate projects, each geared toward different missions, they range from volunteer work with the local Boys and Girls club, to cooking demos in the freshman dorms, to weekly dinners and café lunches. Along with Slow Food UW, F.H. King Student Farm holds a strong presence on the campus with their community farm on the far end of campus. 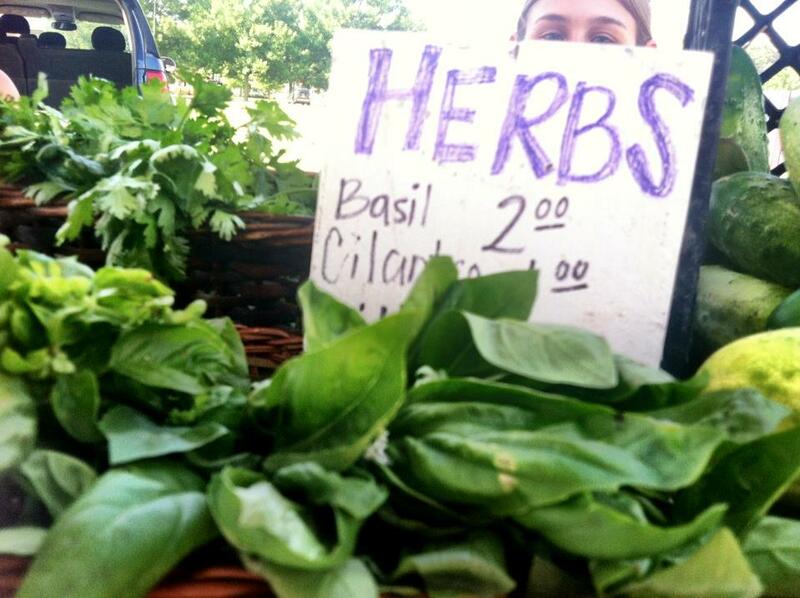 Their offering, Harvest Handouts provides free produce in the heart of the U.W. Madison campus every Friday afternoon. The students behind F.H. King follow the goals and dreams of agricultural god, Franklin Hiram King himself. This group of students honor F.H. King’s research and theories behind community supported agricultural systems. These two organizations affords students the opportunity to uphold the deep roots of sustainability while having an irreplaceable experience and making real connections. Two recent graduates from the University of Wisconsin traded their books in for a handful of farming tools and came together to put all their advocacy work to good use. They stopped talking about how our food system should change and got their hands dirty. Brian Schneider and Darin Ripp of Slow Food UW and F.H. 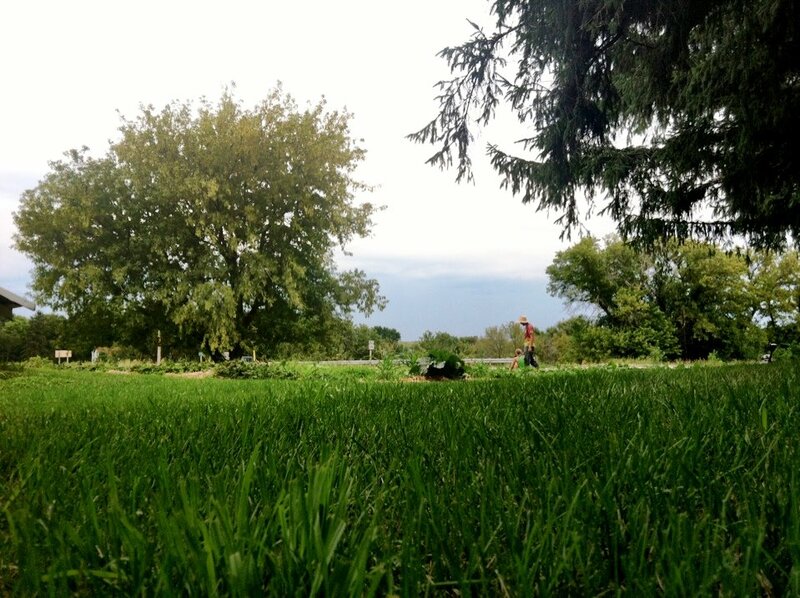 King respectively, are the proud owners of The First Acre Farm, a vegetable garden that resides on just about one acre of the Fountain Prairie Farm land. 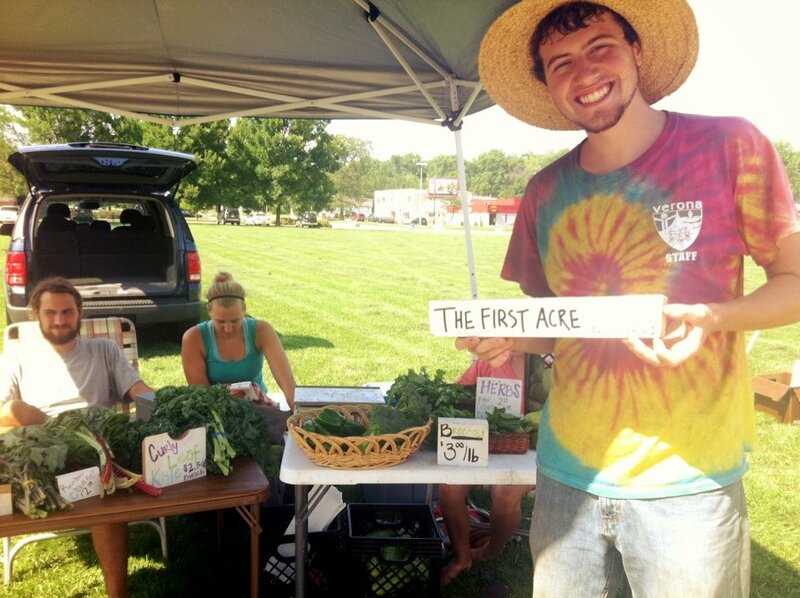 The First Acre Farm is a few months into their first growing season and their produce is making its way through Madison and the Wisconsin farmers markets. 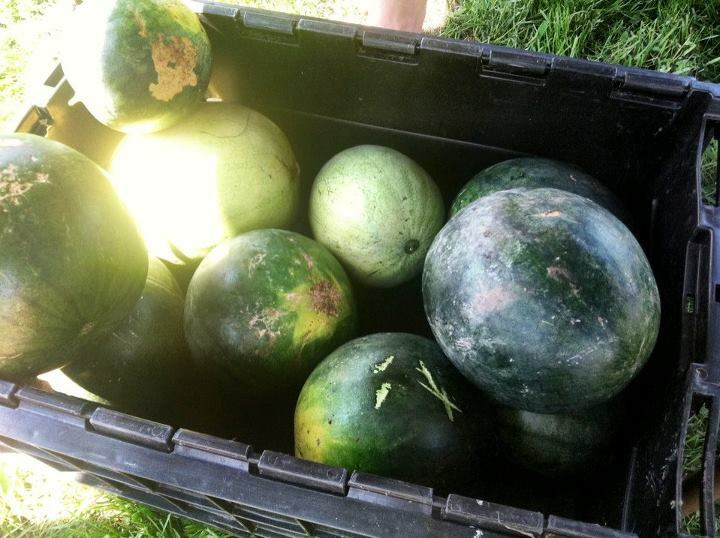 At the beginning of August, after a few weeks of no rain they were able to offer a variety of kale, swiss chard, an variety of herbs, watermelon and cucumbers, and much more is on the way, their list of produce includes roughly 40 different organic fruits and vegetables. These two young men want to make an impact on the food system and offer a food product that they believe in and that they would be proud to consume. 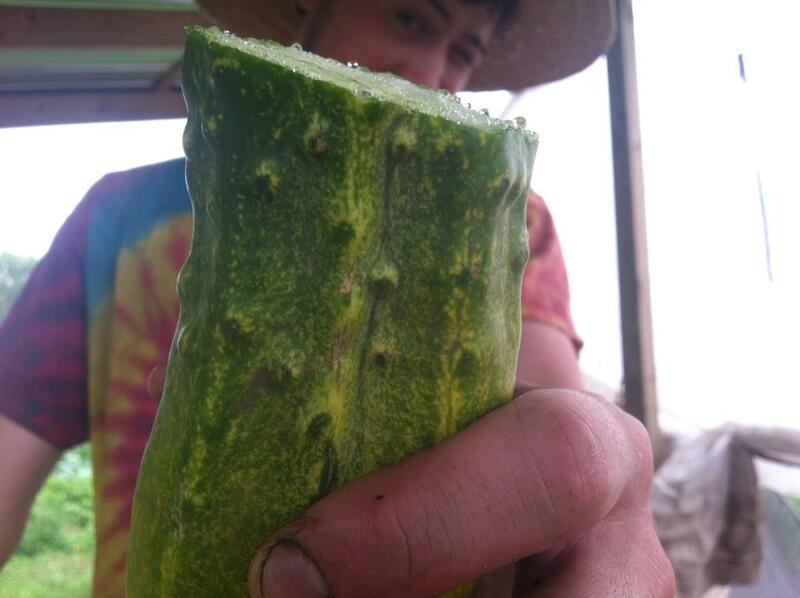 They are using the educational knowledge and life experiences gained thus far on their organic farm and they farm with environmentally sound and sustainable practices. The American Meat documentary claims that there is a need for 4 million people to start farming sustainably so we can make a real difference and reverse the damage done on our food system by corporate commodity farmers. This means there is a strong push for young farmers to pick up a hoe and start combing through the dirt. 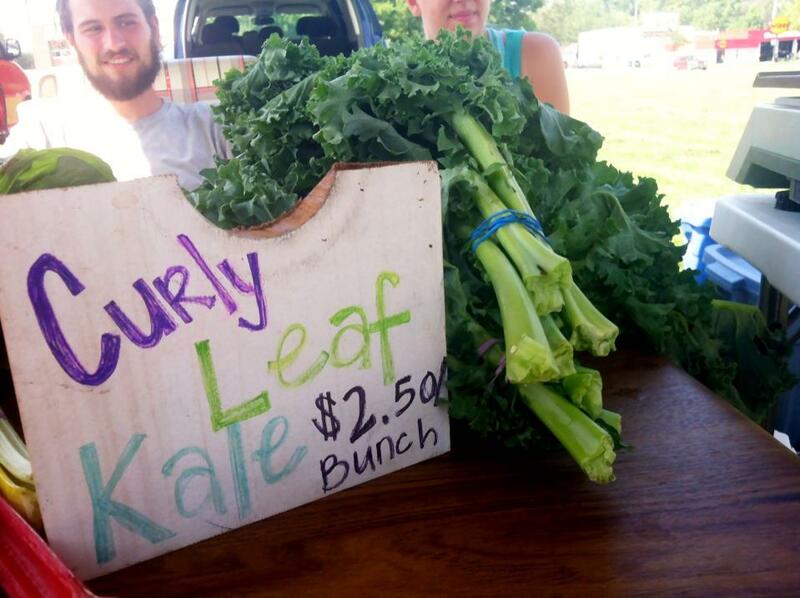 Brian and Darin are helping to reduce the deficit by opening The First Acre Farm. They’re incorporating organic, sustainable farming practices on their farm. Brian and Darin are living sustainably and sharing the fruits of their labor with their friends, family and their growing customer base. 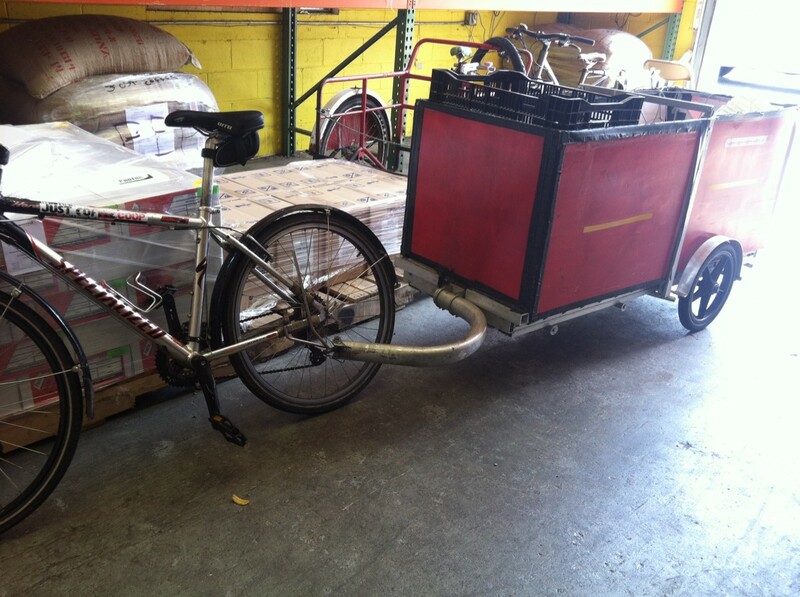 They are taking it one step at a time and they’re doing whatever they can to support a vibrant and healthy food system. Sustainability can be daunting for just one person but choosing to live a certain way in your daily life and sharing that experience with others is the first step to sustainable living. Does creating a sustainable community define the true meaning behind being sustainable, not only understanding what it really means to be sustainable but to actually embrace and engage the community in the practice? Here at U.W. 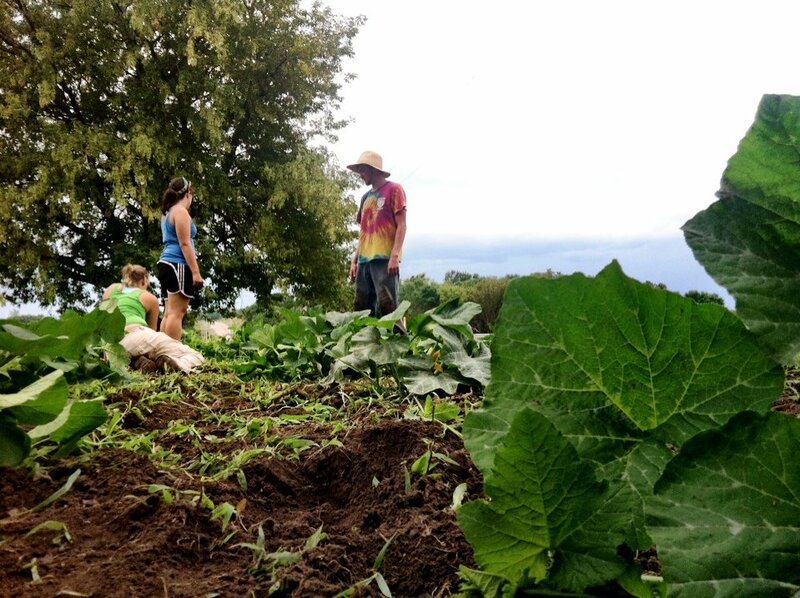 Madison students are getting first hand experience with sustainable living and they’re taking the practices out into the world with them. 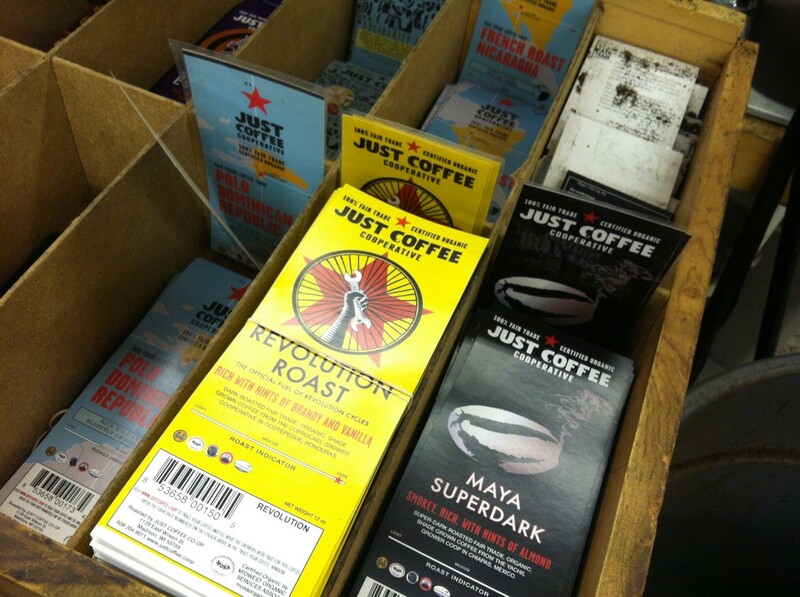 RTF: Rewind, eat well and start a food revolution. ‘Om Boys Food Movement‘ is the result of two young men looking at their grocery store shelves and realizing that not all food is really what it appears to be. In fact when looking at the wide array of brand name food products offered in America’s grocery stores there is a disturbing amount of things that are packed with preservatives and unwanted ingredients. Many of these foods are also deeply ingrained in our American diet and culture. Two of these products are peanut butters and cereal. Walking by the endless amount of peanut butter jars that claim to be extra chunky or fat free or reduced fat or smooth and creamy, etcetera and ranging in brands that are generic or the well know brand name jars, one realizes they all scream the same thing… a commodity appearing to be a food product and a business model that is strictly there to make money. The team of people behind the food revolution associated with Om Boys Food Movement are working to create food they would eat and they would feed to their friends, family and hopefully the entire world. The Om Boys Food Movement, founded by Adrian Reif and Matt D’amour created a ‘Yumbutter‘ nut-butter line as well as the ‘Food Your Body Likes’ cereals. These products are the first of Adrian and Matt’s food revolution, reversing the damage done by corporate companies selling nut butters and cereals. Adrian and Matt wanted to take food products that are a big part of today’s society and make them good! The variety of peanut butters found in most grocery stores only aisles away from sugary and energy depleting cereals are what is found in most American households. According to the USA National Peanut Board “the average child will eat 1,500 peanut butter and jelly sandwiches before he/she graduates high school.” That is an outstanding amount of a highly processed food product. This is where Yumbutter is introduced as a wholesome, protein rich and pure product that will win any taste test compared with any other nut butters. 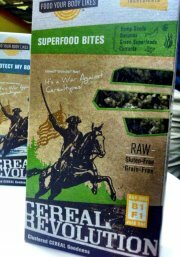 There is also the ‘Food Your Body Likes’ cereal line, that is jam packed with phytonutrients and sprouted ingredients that “releases enzymes and antioxidants, improves the amino acid, vitamin, and mineral content, and breaks down anti-nutrients.” This is quiet frankly,’Food Your Body Likes’ and will help restore the entire working organism from the inside out. The idea behind ‘Yumbutter’ nut butters and ‘Food Your Body Likes’cereal is to start small while taking the time to replace the well know jars of peanut butters and air-puffed sugar cereals, disguised as a healthy breakfast option, with real food. Co-founders Adrian and Matt are personally selecting high quality products that range from organic, fair trade bananas for their most recent Yumbutter Potion, Ethical Elvis, to researching the health benefits of sprouted and raw food products for their cereals. Adrian and Matt are the not the first to use the term ‘food revolution’ while offering some tasty snacks but they are making headway. 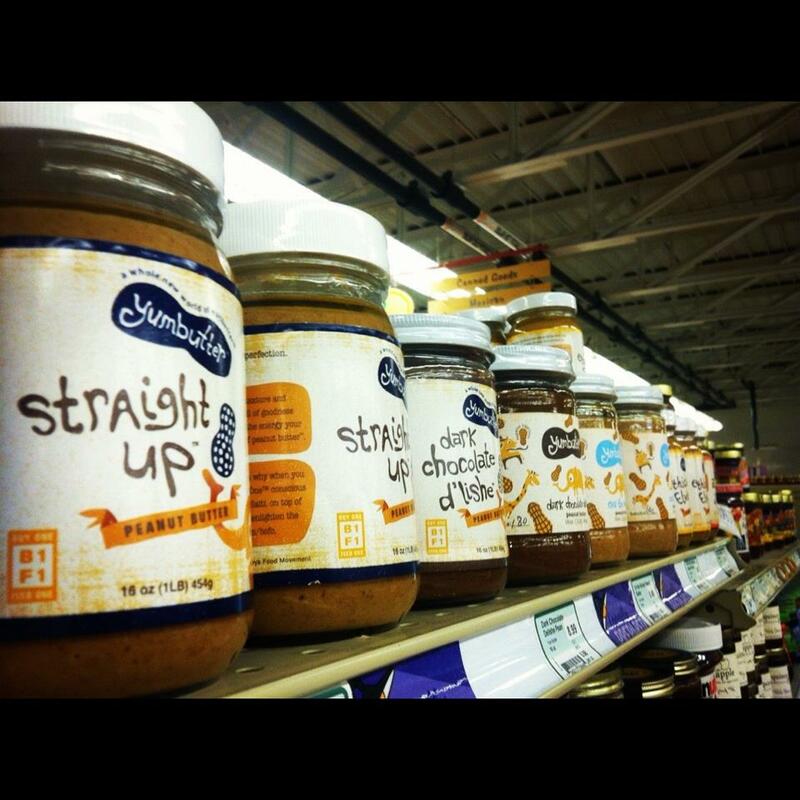 Their nut butters can be found at a variety of grocery stores in Madison, Milwaukee and even Chicago areas. They started small in order to offer the best quality product but don’t plan on stopping anytime soon. Keep a look out for more articles regarding Adrian, Matt, their food revolution and any of the other projects that support their mission of being sustainable, ethical and community-based all while having a full stomach! 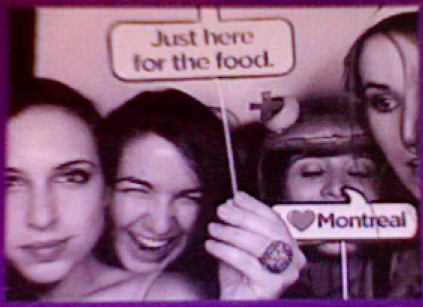 All hail a food revolution. This week for Real Time Farms I drafted a sound clip giving an insight on the Uphoff family that has created a long lifestyle that is dedicated to managing people and animals. Their meat is 100% Berkshire certified and while these hogs live a happy life on the farm in open houses they are also providing a high quality product to a variety of local food establishments in Madison, Wisconsin. For further information check out their Real Time Farm profile or a previous blog post about their meats. All hail a dedicated farmer. New York City is a dynamic city known for finance, media, and entertainment – and people, lots of people. With so many people and so many ideas buzzing around they all seem to have successfully created a unique and vibrant food scene too. 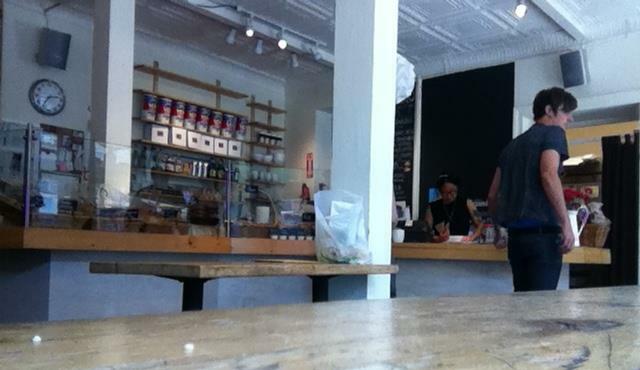 I strolled through the streets of East Village and Soho admiring the abundance of local food establishments. It’s rare to pass restaurant chains in this bustling city. 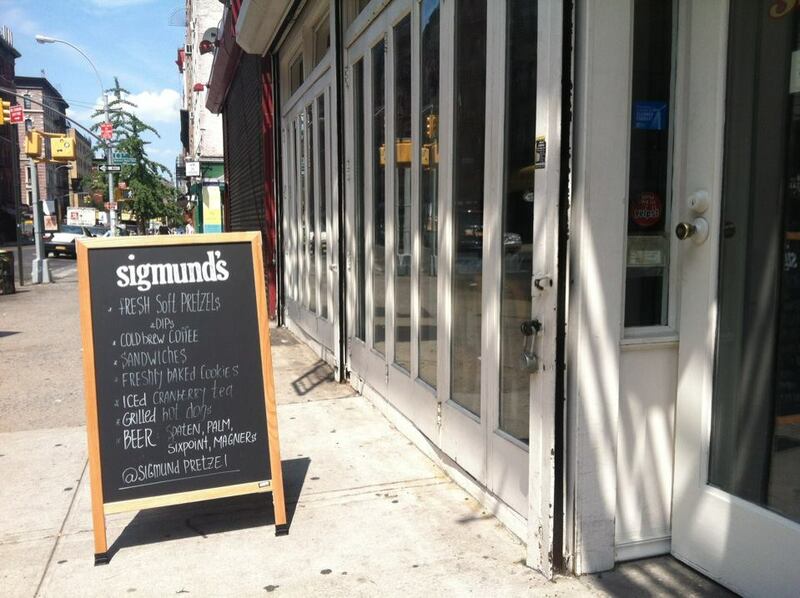 Sigmund’s Pretzels is one of those neighborhood spots that’s doing a great job at helping keeping food local and distinctive in New York City. 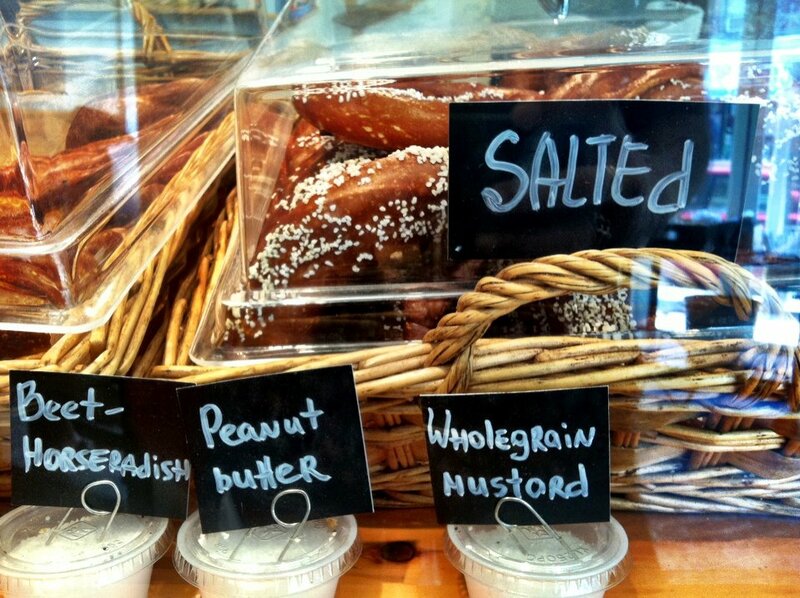 These pretzels are hand made and crafted fresh everyday offering a variety of flavors. 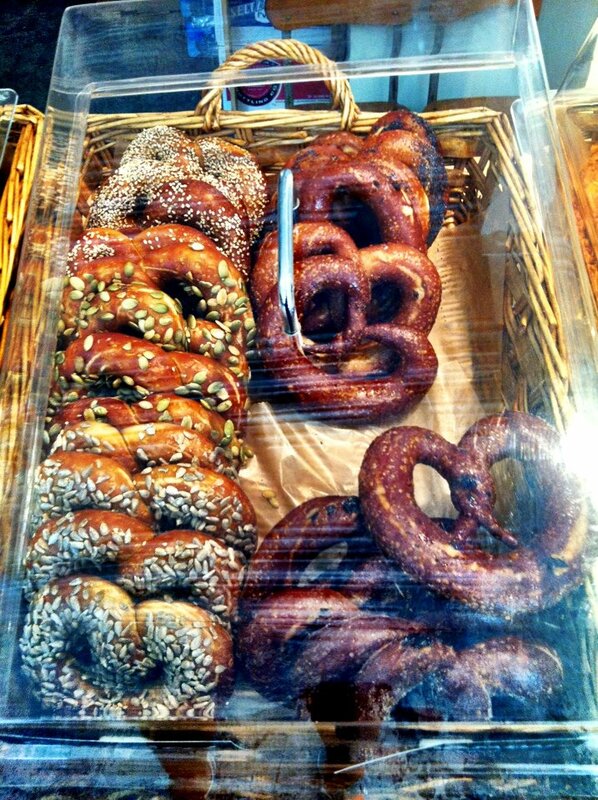 In the back of the cozy pretzel-shop they create the wide range of pretzels and when they run out they simply run out! 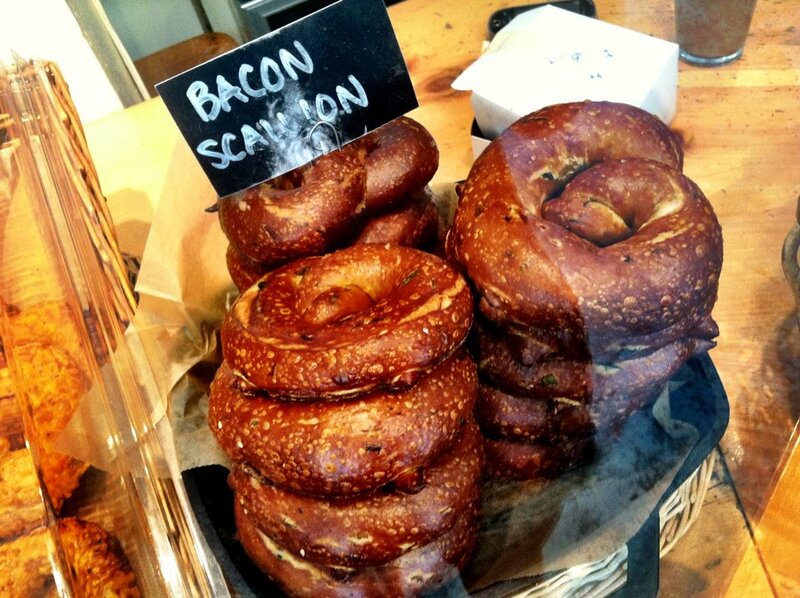 All of those behind Sigmund’s Pretzels take pride in offering a wholesome snack such as the traditional salted pretzel, a savory bacon and scallion flavor, sandwiches on pretzel rolls and even “Uber Pretzels” for sharing. 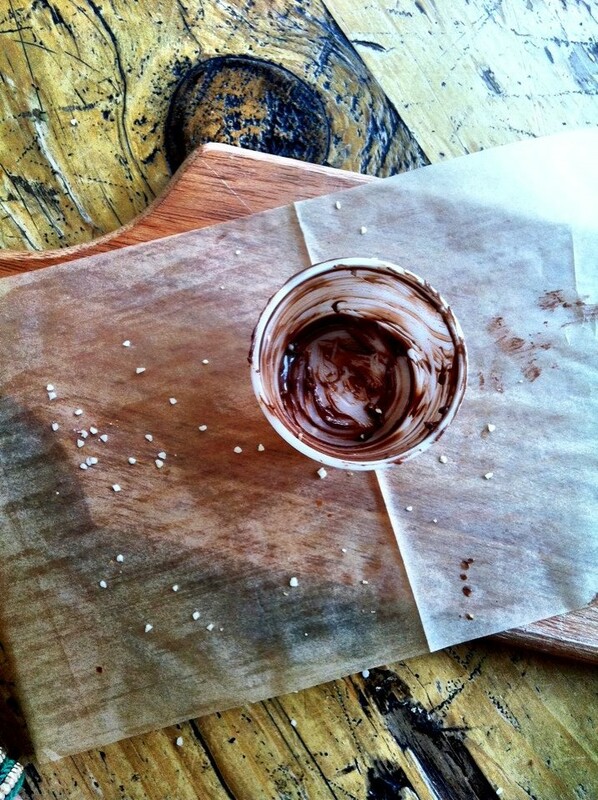 The pretzels are also suggested to be paired with a variety of dips ranging from adventurous ‘beet-horseradish’ to a smooth and sweet nutella. 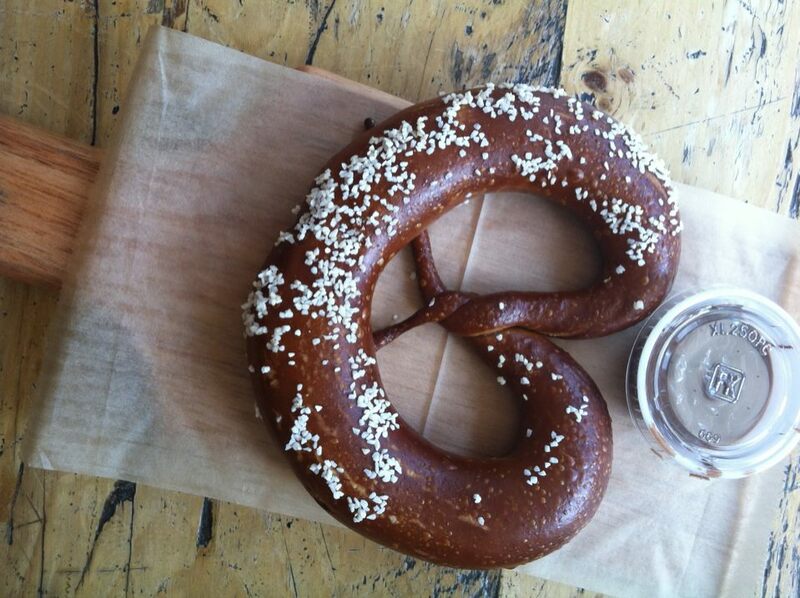 The pretzel goodness is found at over 20 establishments ranging from the Dean & Deluca retail stores, local bier gartens and even the Delta airline at Laguardia. Beyond these they are also interested in expanding their wholesale program as they are eager to include other local eateries. All hail a food artisan. From Manhattan to Northern Westchester to Montreal and currently Boston with big dreams of back to New York, Australia and England Rebecca Roesenthal is quite the food advocating jet setter. Born in Manhattan, yet raised in Katonah-Northern Westchester, Rebecca was introduced to a way of life that revolved around the preservation and culture of food. In 2008 she was swept away by Montreal, Canada where she spent time as an undergraduate student at the University at McGill studying Urban Systems in their Department of Geography. Rebecca has taken her life experiences of different cities to her university setting, where she is understanding how cities are broken down through their architectural designs. Rebecca has crafted maps focused on all things from food and sanitation to transportation, truly putting her degree to good use. Through this work she became very interested in food systems where she was able to tie in an environmental psychology minor. Before it is time for her to graduate from her undergraduate career Rebecca is roaming Boston to meet with local farmers and food artisans to understand their unique food systems. 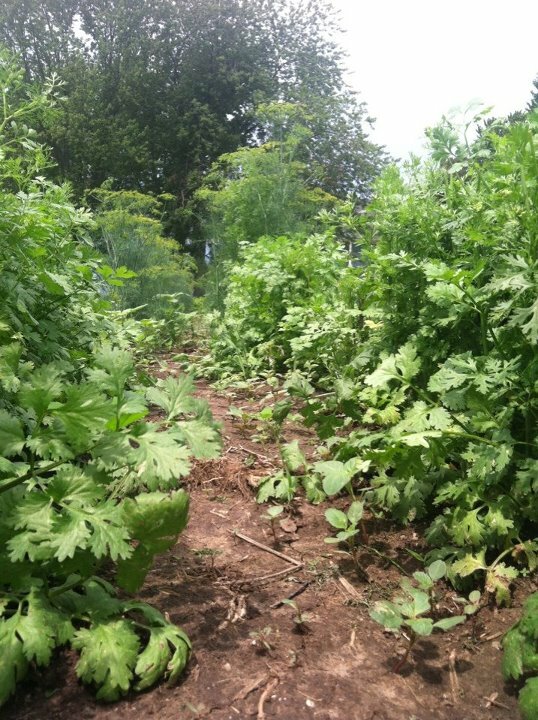 As a Real Time Farms Food Warrior with an Urban Systems and Environmental Psychology degree her blog on the Food Warrior experiences offers an outstanding look at our current food system. While Rebecca is not spending her time studying psychology and mapping out cities, she truly enjoys writing. The Real Time Farms Food Warrior internship fit her well due to the amount of writing she is very used to. 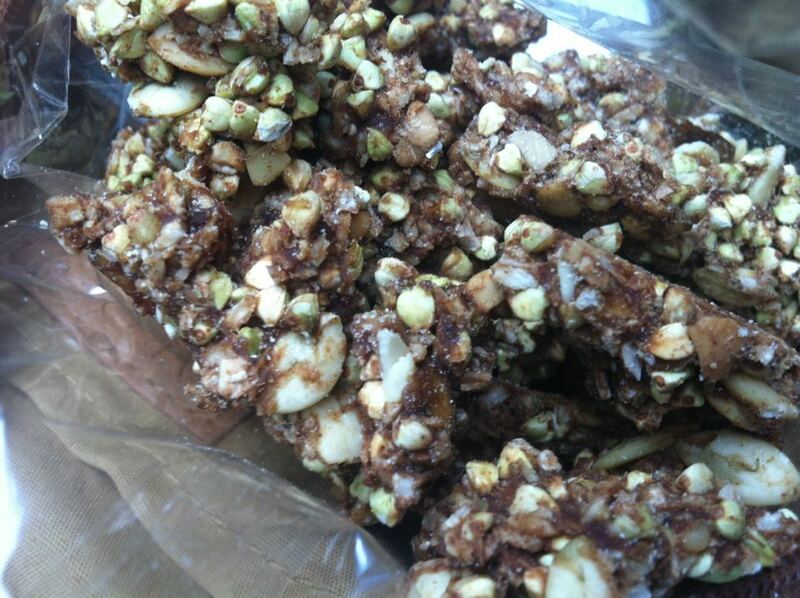 While at school Rebecca spends much of her free time contributing to a Food Blog at her university. Beyond her interest in putting a pen to paper, Rebecca is most eager to engage with farmers and food artisans in order to learn the Boston food scene. This summer is the first time that farmers are allowed to sell fish at markets which is one of the many things Rebecca has already started to learn about. Rebecca is also interested in learning more about the business aspects, including sourcing and distribution. This past semester at McGill she won a Sustainability Case Competition that lead her to develop a self-sustaining, student-run cafe that strived to source locally. She learned a lot from her own experience but hopes to see how local sourcing and fair distribution is replicated in the real world. These are only two examples of what Rebecca hopes to learn from her time with Real Time Farms. The list does not stop there as this headstrong foodie wishes to learn more about the technicalities behind fisheries and fishermen, the stories behind the people supporting Boston’s food system along with the struggles and socioeconomic aspects of farming and food quality. To learn more about her adventures through all of this, dive into her Real Time Farms blog, ‘Local Life, Global Goals‘. Looking at Rebecca on a more personal level allows you to understand her strong interests in food. Everyday she eats with the philosophy, “know thyself.” For Rebecca food has strong and important qualities that can make a true impact when adjusted correctly to help support our bodies. Joy McCarthy is a nutritional role model for Rebecca as McCarthy strives to explain that there are ‘seven billion diets for seven billion people.’ While arugula is one of Rebecca’s favorite vegetables she struggles with a handful of food sensitivities that have pushed her to better understand foods. She has returned to basic, wholesome cooking but finds herself exploring new spices and dishes along with keeping her mind on the benefits of food while she strives to alkalize her body through food. Cheers to Rebecca and her summer of adventures. The confusion associated with walking up to the olive oil aisle in a grocery store left Tyler and Carry Guell fed up with their cooking experiences as they often ended up at home, opening a new bottle of olive oil and feeling defeated with its lack of or even overpowering flavors. Their very own olive oil and fine vinegar boutique soon became the answer to these problems. Tyler and Carry Guell are the happy couple that founded Olivada, nestled on the river of Sheboygan, Wisconsin. Beyond housing the freshest olives oils accompanied by fine balsamic vinegars Tyler and Carry wanted to offer the customer an experience. 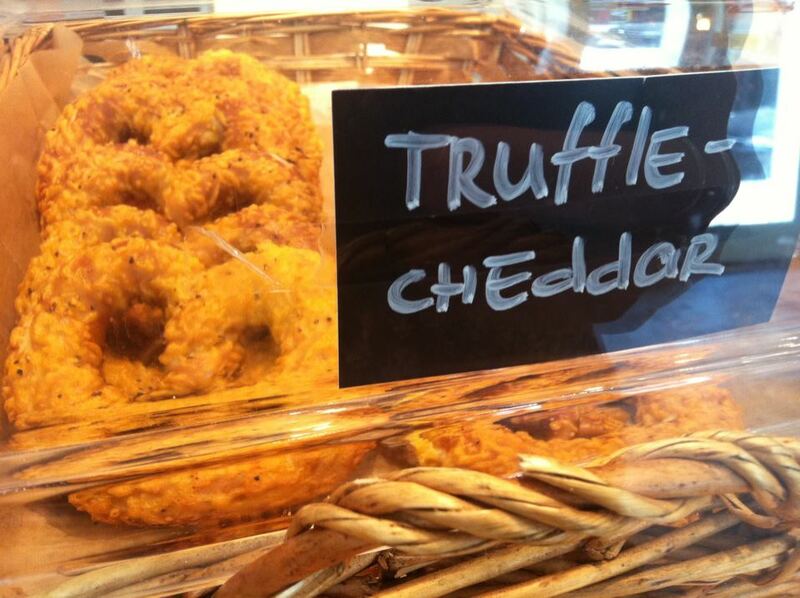 Therefore, the shopper is able to sample anything in the store before purchase. This is a part of understanding your food deeper in order to enjoy it to its fullest advantage. The amount of oils and vinegars range far and wide while many customers know very little about the different flavors and accents. Tyler and Carry take the time to truly explain to their customers how to understand the flavors before even bottling it for them in house. For example the one of the many honey balsamics is taken like a half shot out of a small plastic cup and then swirled around in your mouth until the flavors are in full effect. The acidity of balsamic holds many different flavors, especially when they are infused. Allowing the taste buds to gather the balsamic’s key notes gives the individual a full idea of how it can be enjoyed best. While using your senses to do this it is easy to fantasize about the endless dishes it would enhance, and soon find yourself wanting to sample the entire row. On the other hand, sampling the oils is done a bit differently. The shopper is instructed to cover the small cup while rubbing the bottom on your palm. This warms the oil and prepares you for a full experience. 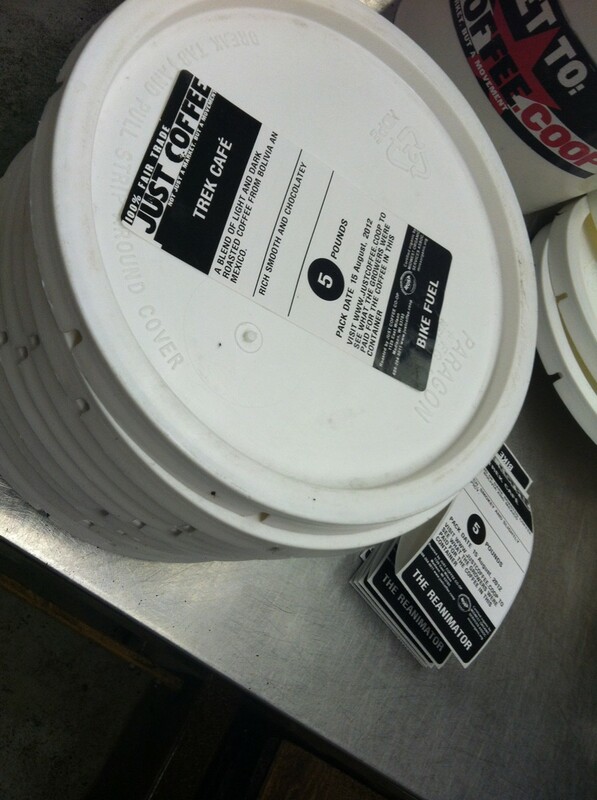 After about 30 seconds of this you are to breath in the oil, smelling the different undertones. Finally, you slowly sip the oil and let it rest on your tongue while sliding down your throat. You are essentially using a majority of your senses to not only taste the oil but also understanding the olives and their strengths. This is a learning experience that helps to connect the customer with oil they are destined to cook with. The wore down shipping warehouses lining Sheboygan’s river have become home to a variety of funky hipster cafes, fine English pubs, health food stores and more allowing Olivada to fit in as well as a missing puzzle piece. The establishment has only been in working service for about a year but their expertise with oils and vinegars really sets them apart and allows business to do very well. This unique approach to selling oils and vinegars stems from their own frustration and encourages them to offer a sampling of all products sold as well as bottling everything in store before purchase. After being greeted with a gust of air conditioning you find yourself face to face with a wall of dark bottles. 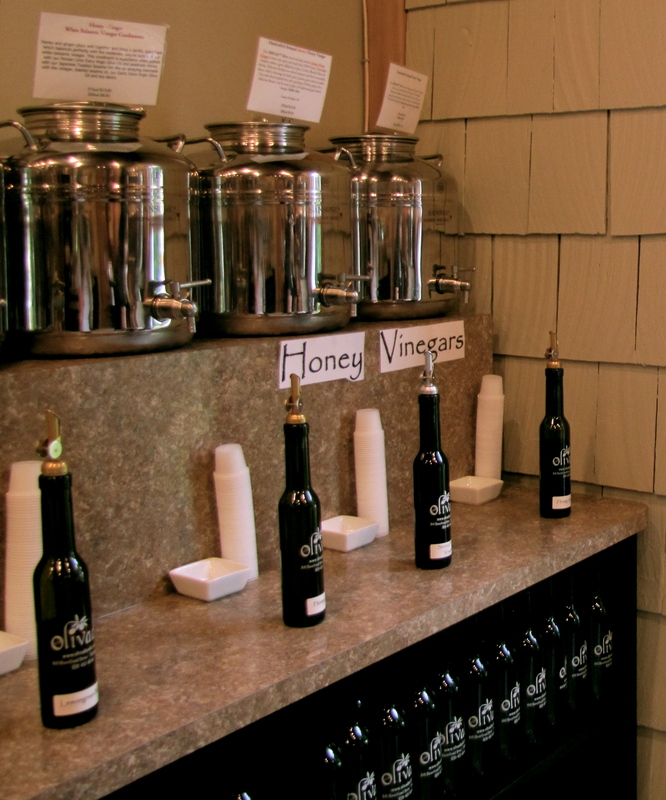 Below each is a small description of the vinegars location, flavorings and pairings. 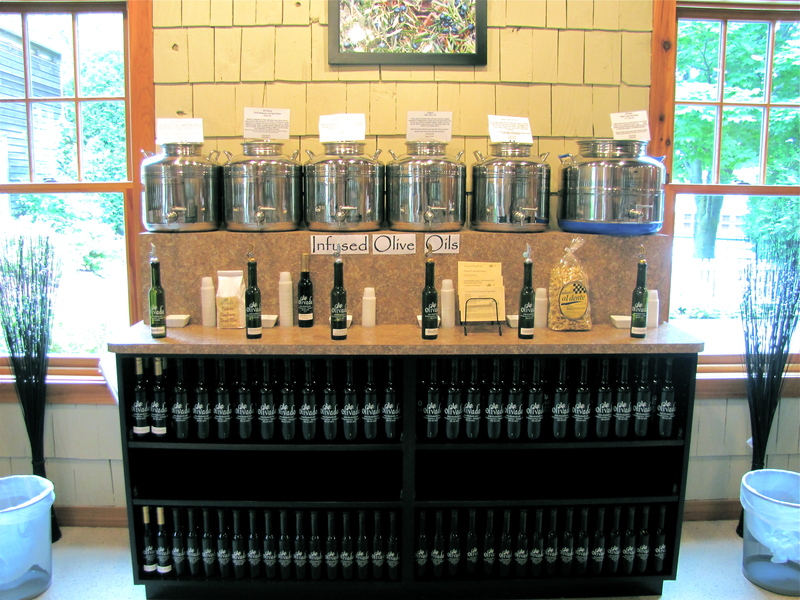 Recipes are sprinkled among the bottles and featured in the center of the store is the island of oils. These olive oils are 100% pure extra virgin coming from the northern and southern hemispheres allowing Olivada to offer the freshest oils. 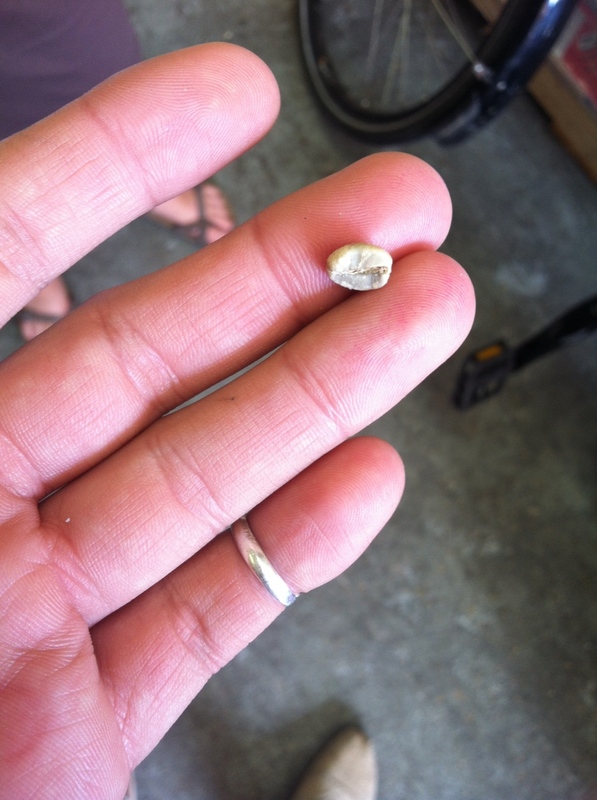 Any of the staff members will gleefully explain that there are only two time frames a year when olives are crushed. Due to Olivada gathering oils from both hemispheres they are receiving oils twice a year when those olives were crushed, leading to the freshest product available. These different olives coming from both the northern and southern hemispheres allows the oil to range in flavor from a more grassy and earthy undertone to the buttery and rich flavors. 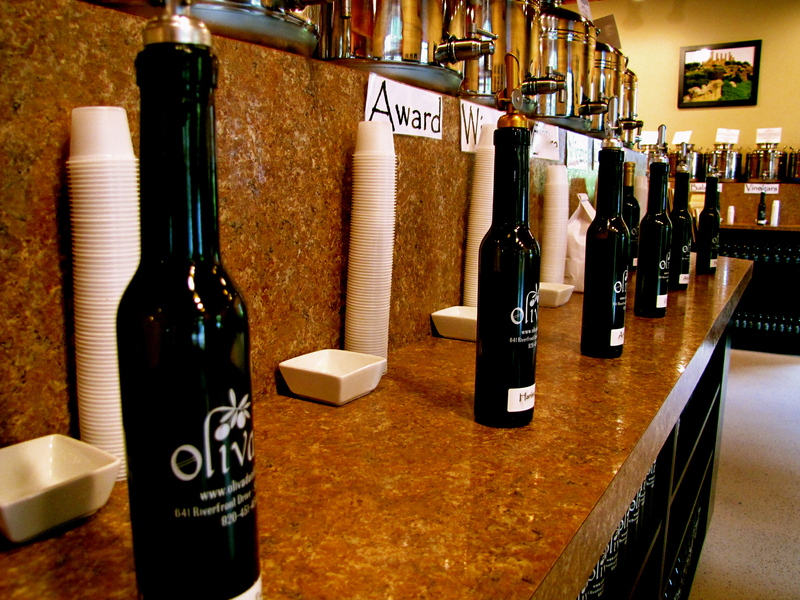 The idea of Olivada is to avoid selling a vinegar or oil to someone who is not truly invested in its flavor. Food is to be enjoyed and experienced and the Italians believe that olive oil is an ingredient that unleashes flavors in foods that would not otherwise be tasted. The vinegars offer a way to enhance ingredients through adding wholesome acidity. Olivada is not only selling these product but rather sharing a way of life. All hail oil and vinegar. 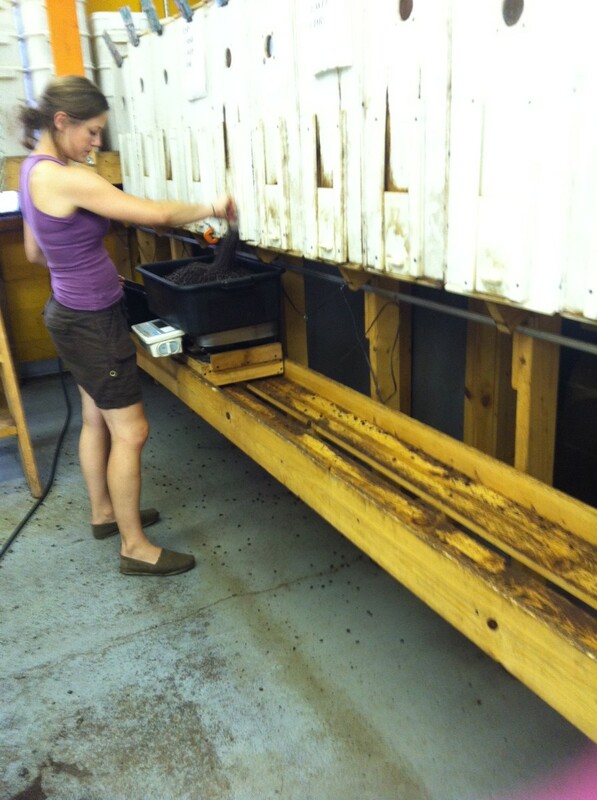 Honey is harvested from the hives at the beginning of each fall season. It is then bottled, processed and sold throughout the year until they can harvest the honey in the upcoming fall. By the time the honey is processed and being sold the new honey is starting to be harvested. 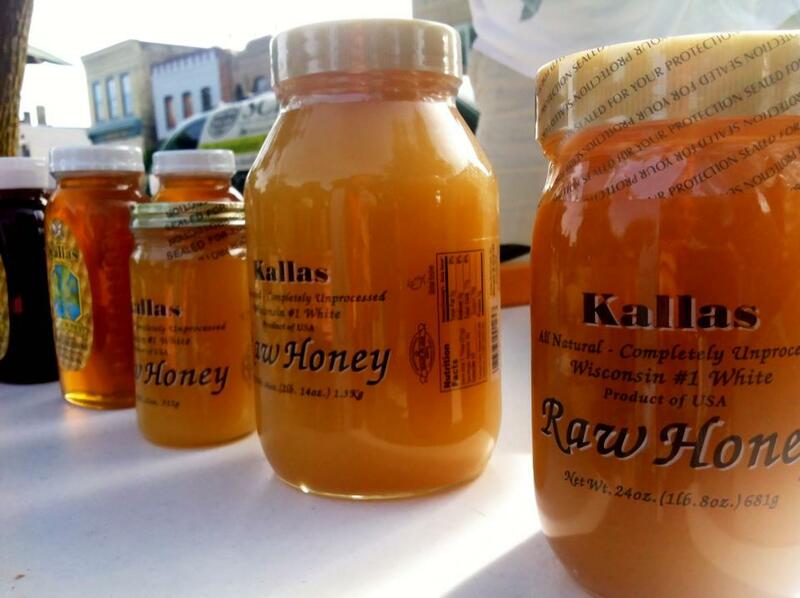 Kallas Honey is a regional business so their distribution is not spread across the United States allowing them to work with only a small amount of farmers. The amount of honey they collect is sold by the time the next harvest comes around allowing them to collect and sell the freshest honey. 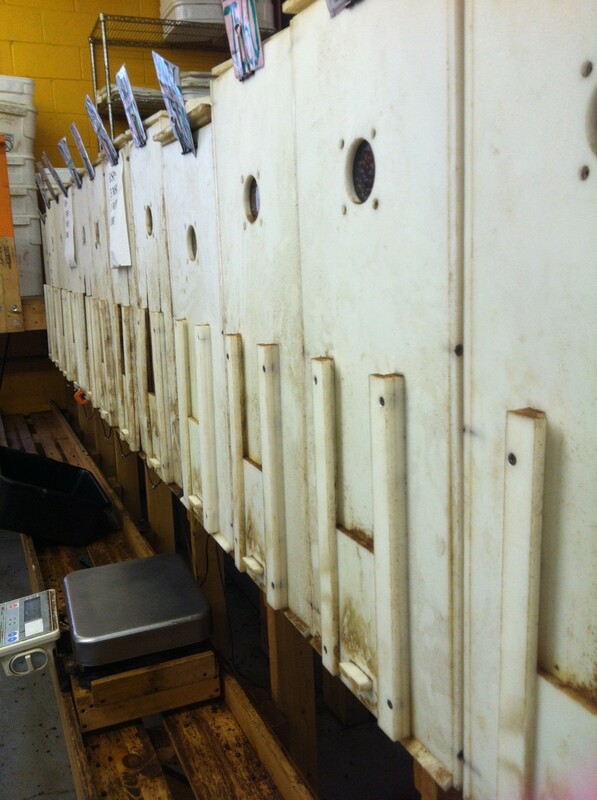 Many larger honey processors work to sell their honey on national and regional scales as well as to many grocery stores. 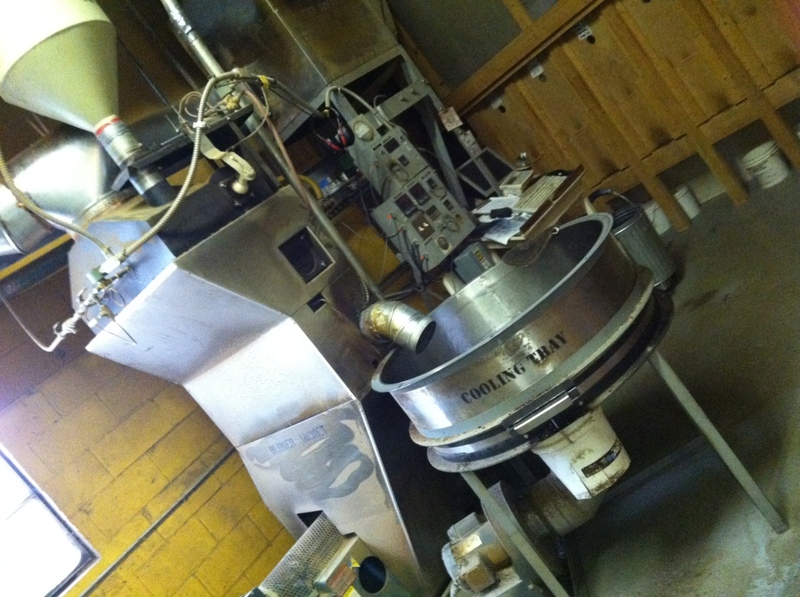 This causes them to harvest mass quantities of honey and process it much heavier since it is distributed far and wide. 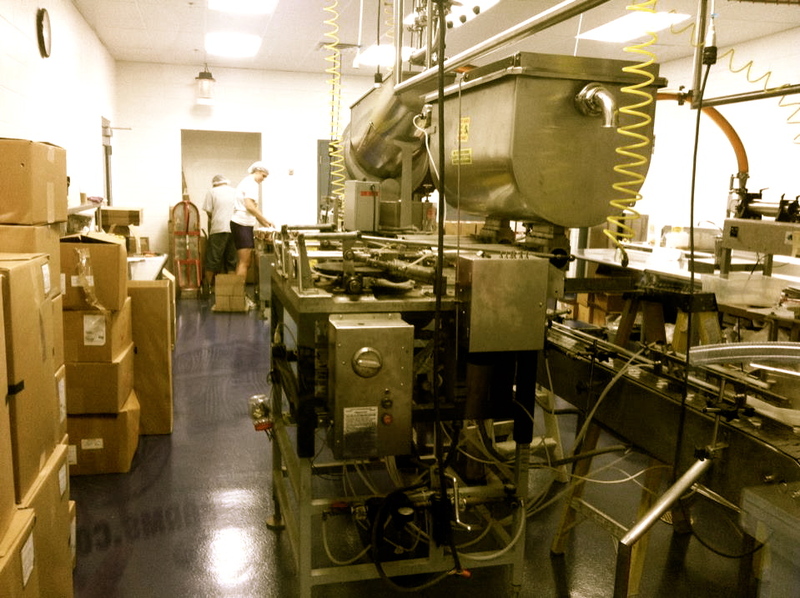 Many national honey processors provide the average honey bear many of us are used to seeing in grocery stores and often free from any crystallization or imperfections. This honey purchased in a grocery store was bottled many harvests before offering a more processed product that has a longer shelf life. 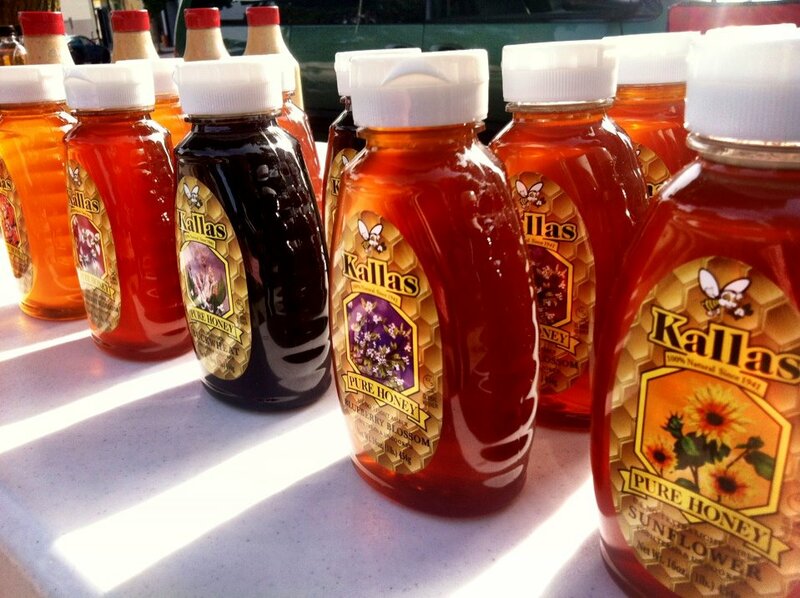 Perry Kallas along with the entire Kallas family business prides themselves on working with small farmers to bottle the honey as fresh as possible after harvest and sell that honey to local restaurants and other food establishments. Their honey is very pure when comparing it to brand name processed brands sold nation wide. The more processed honeys are striving to remove the effect of crystallization and instead ‘satisfy’ the customers. Perry Kallas touched on the issues about a lack of education around honey and how the products found in the grocery store can seem misleading. A more pure honey is bound to crystallize over time due to air entering the jar after many uses. Kallas honey tends to have a crystallization seen in their glass jars which unfortunately can have this negative connotation associated with it. The crystallization, however, is a pure sign of fresh, less processed honey, that is why the raw honey has a higher amount than other honeys. In fact, the Kallas raw honey is one of the most pure honey products on the market as they bottle it directly from the bee’s hives. Driving up to Kallas Honey is an interesting experience when you realize you are stationed a couple blocks away from the heart of the city of Milwaukee – Wisconsin. 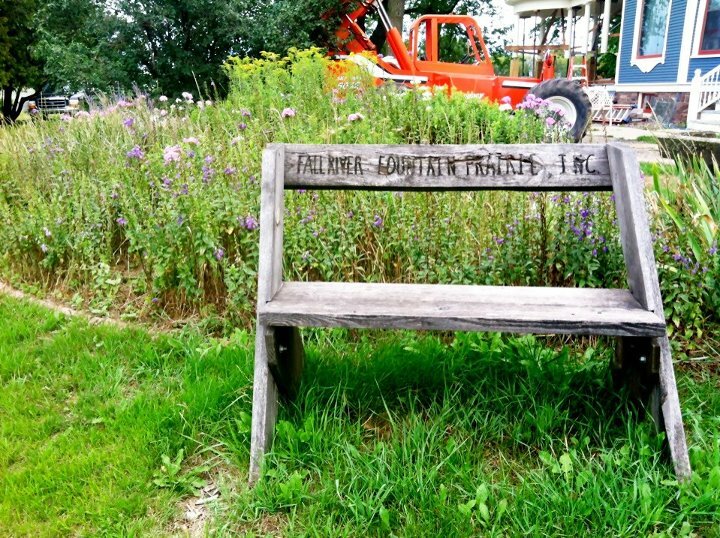 This ‘farm’ is a place where three generations of Kallas family members pristinely process honey gathered from their local, Midwestern bee keepers. The Kallas Honey Farm is a building where these philosophies behind raising bees and processing, or simply bottling in the case of their Raw Honey, comes to a reality. The Kallas family has built their business to maintain roughly 50 farmers in the Midwest region who are humanely raising bees under similar principles and philosophies that come with raising any other livestock. Perry Kallas simply touches on the science behind bee keeping along with the entire business behind the honey bears that are commonly found on grocery store shelves. 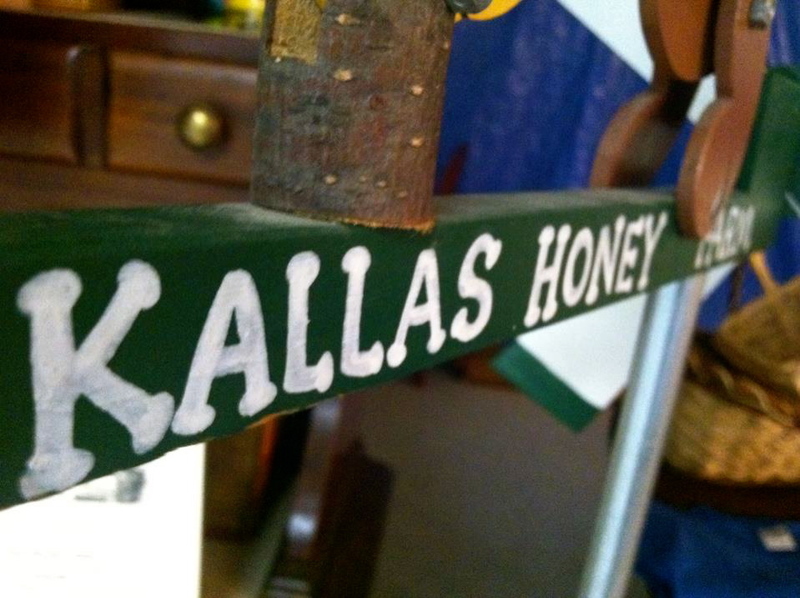 The Kallas family strives to produce their honey each year so that it is the freshest and most pure. 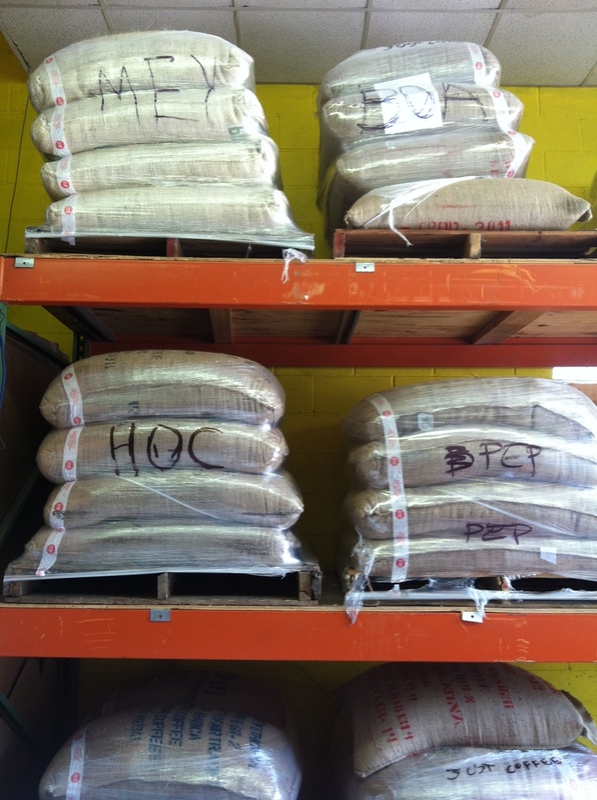 They keep their clientele small and manageable while sourcing locally to Wisconsin, Illinois and Indiana food producers. The Kallas business produces eight different varieties that are mainly sold to food producers in bulk, yet available as wholesale on site and throughout farmers’ markets and other specialty stores. 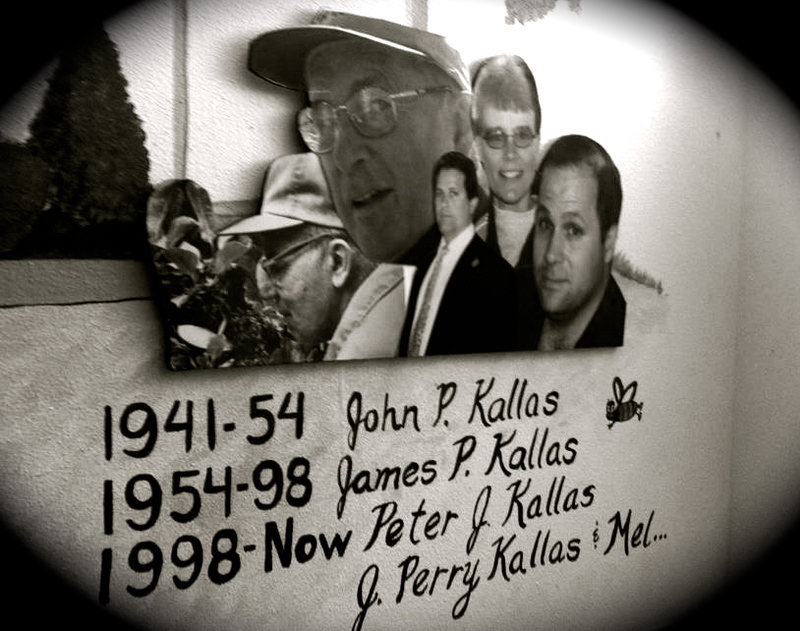 The Kallas family strives to understand the nature of the bees and source a wholesome product while educating their customers.